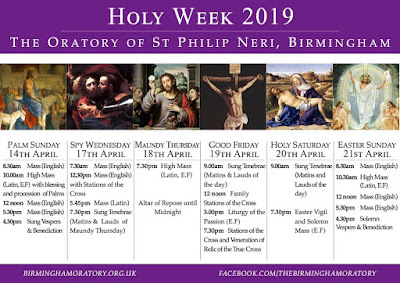 We are pleased to share with our readers the news that this year, the Birmingham Oratory will for the first time celebrate the whole of Holy Week, including the Triduum, in the Extraordinary Form. (English Masses will also be celebrated outside the days of the Triduum, on which only one Mass is permitted.) 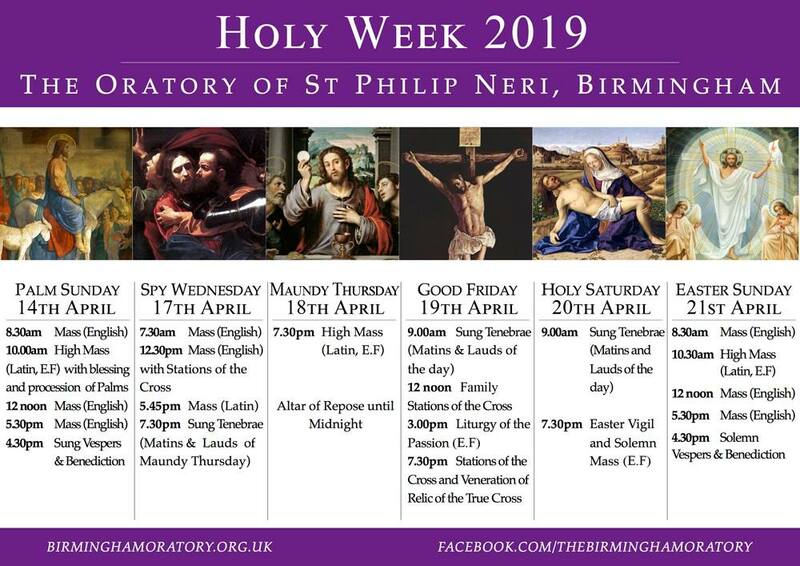 The schedule of services and music to be sung at them are listed on the two posters below; the Oratory is located at 141 Hagley Road. 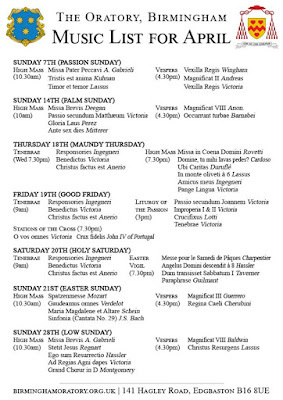 See their website and Facebook page for more information and regular updates.